TAKETORISE COMPUTER is computer hardware, systems support, network, repair and training solutions Company. 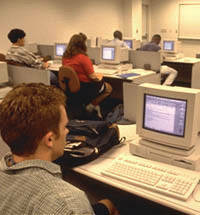 We have been supplying our customers with various high-quality computer products since 2000. To be truly meeting our customers' requirements, we have ourselves the authorized dealer of many leading computer vendors such as, Intel , Compaq, AST, Acer, Packard Bell etc., just to name a few. The ever-changing field of computer technology is absolutely challenging. It requires us as the supplier to be extremely well-alert and well-aware of where the whole industry is gearing towards and what is the latest development or trend in the field. Upon that, we have to closely observe what our customers need and respond by allocating our resources from time to time to meet this on-going customer-technology dynamics. Today our stable workforce of professionally trained sales and service technicians combined with respected product lines from famous companies ensure consistent customer satisfaction. We provide complete sales and service support for all Computer systems and computer products offered. We understand that a web site is far more than an electronic brochure. That’s why we differentiate ourselves with web design that incorporates accurate and attractive multimedia content. Your site will help you reach and influence your target markets more effectively. We know what you need so we supply it. We understand your concerns so we offer the most competitive prices. We feel what you feel so we suit you with qualitative customer services. 1-Ensure that the customer's needs come first. We will support, service and meet all customer demands in a timely and efficient/effective manner. 2-Operate as a highly effective organization without sacrificing the best interests of our customers. 3-Consistently pursue excellence in all we do, at all times. Let us be your on-site technology department! If your business frequently needs computer support, but isn't ready to hire a full-time IT staff, we can help. TakeToRise Technology does make a difference. Our business hours: Monday - Friday 10:00 a.m. - 8:00 p.m.